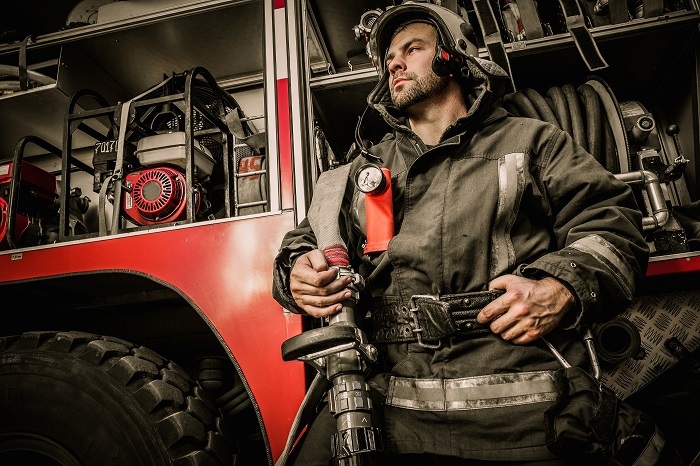 By providing two firefighter cover letter examples, this article seeks to provide you with the tools necessary to help you land your dream firefighter job. Firefighters work both in volunteer and paid positions, but in order to be competitive for either type of position, you will need a cover letter to make you stand out above the competition. A well-written firefighter cover letter will present your previous work experience in a way that demonstrates your training and primary competencies. According to the city of Ann Arbor’s website, you are looking for an experienced firefighter, and I believe I am a qualified candidate. I have over 15 years of firefighter experience, including the past five years in a supervisory position. Following high school graduation, I immediately earned an associate degree in fire science from Tanner Community College in Lansing, Michigan. While working on my associate’s degree, I volunteered for my local fire department in Lansing. I also hold a state firefighter certification, and am a Nationally Certified First Responder. In my current position at Dearborn Community Fire Department, I work both as a supervisor and as part of the team. As a supervisor, I help train new firefighters for our department. I’m also responsible for evaluating their performance for annual reviews. My position as part of the team of firefighters requires me to regularly assess the conditions present at every fire, in order to determine the best way to contain the fire and prevent loss of life. My current position has awarded me with several accomplishments, particularly when it comes to educating the public in fire safety. I am especially passionate about this aspect of my duties, and I have organized and implemented all of the school fire education programs in our county. Additionally, I have organized the Dearborn Town Drill, a day in which the city was invited to come to the fire house and discuss how to better prevent fires within their home, and how to plan their fire escape routes. As a firefighter, I am skilled in structural, chemical, and vehicle fires. Additional firefighter skills that I have developed include dispatch operations and handling of mass casualty events. As a Nationally Certified First Responder, I am trained in airway management and patient assessment. Many other medical emergencies were included in my first responder training, including circulation, childbirth, and the proper reporting procedures to emergency medical technicians. As someone who is certified both as a firefighter and as a National First Responder, I believe that my skill sets will be a tremendous benefit to your department. I thank you for considering me for the position. My resume is attached, and goes into further detail about my qualifications. You can contact me both by phone and by email, if you wish to set up an interview to discuss the job in greater detail. Recently, I discovered your ad for the firefighter position for the city of Springfield. Your ad indicates that you are interested in filling this position with an individual who has a significant amount of experience, and I believe that I fit that profile. I hold a Missouri state certification as a firefighter, and an associate’s degree in fire science from Springfield Community College, class of 2010. While my resume provides a full picture of my employment history, this cover letter will explore many of my skills. I am currently working for Stafford City Fire Department. I have worked there since 2013, and in that time, I have responded to hundreds of fires of different origins. I have helped contain vehicle fires, chemical fires, and brush fires. My structural fire experience has included homes, apartments, and commercial buildings. Many of the commercial buildings in Stafford have chemical components that make them particularly difficult to combat, but working with this fire department has given me the ability to adequately contain them. Throughout my employment, I have maintained perfect attendance for the last four years. I have been placed in charge of training all the new recruits, and this includes both paid and volunteer firefighters. After being trusted with their training, I re-examined the training materials that our house traditionally used. Finding them outdated and factually incorrect in many places, I initiated a complete re-write of the materials. I take the role of being a firefighter very seriously. For that reason, I am determined to remain physically fit, as I believe this can be the determining factor in whether or not I am able to save someone. In addition to physical fitness, I value my teamwork skills. Working with my team, and being able to compromise and communicate with my fellow firefighters is an essential skill when it comes to performing our jobs. Remaining calm when in stressful situations is another key skill that I possess. Thank you in advance for considering me for this position. Due to my training and education, I believe that I can be a positive addition to your department. I can be reached by phone prior to 5 p.m., and by email at any time of the day. A firefighter cover letter must be able to highlight how well you work in a team. It is also a way to demonstrate any training, formal education, and skills you have. If you’re trained as an EMT or first responder, you will definitely want to include that on your resume. Firefighter positions, especially paid ones, can be very competitive, so you should use your cover letter as an opportunity to showcase any skills that prove your superiority over other candidates. What tips of the trade have you found to be beneficial when it comes to composing a cover letter for firefighter jobs?